Endobronchial tuberculosis (EBTB) is the most frequent complication of primary pulmonary tuberculosis (PTB) in children. The aim of the study was to analyze characteristics and clinical role of bronchoscopy in diagnosis of childhood EBTB. A retrospective, descriptive study was undertaken in 157 children with EBTB undergone flexible bronchoscopy (FB) between January 2006 and June 2014. The median age of the enrolled patients was 3.4 years, with 73.2% of patients under five years old. The most common subtype was tumorous type (145/157, 92.4%). If only involved bronchus were considered, the common affected sites were right middle lobe bronchus (49/228, 21.5%), left upper lobe bronchus (41/228, 18.0%), right upper lobe bronchus (41/228, 18.0%), right main bronchus (35/228, 15.4%), respectively. 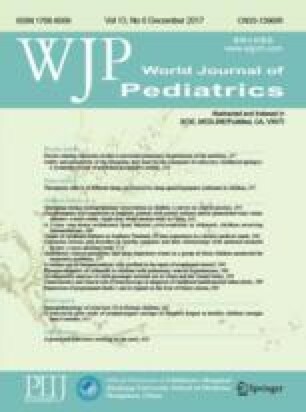 Children younger than five years old were at higher risk to have multiple endobronchial lesions (P=0.044), with an odds ratio of 2.313 (95% confidence interval: 1.009–5.299). Before the bronchoscopy, only 16 (10.2%) patients were highly suspected of EBTB, while the others were diagnosed as PTB without EBTB (69.4%), or misdiagnosed as pneumonia or foreign body aspiration (20.4%) on admission. The patients under five years old are at high risk to progress to EBTB and have multiple endobronchial lesions. The most frequent subtype of EBTB in children is tumorous type. The lesions are seen in the right bronchial system more frequently. FB should be performed to detect the endobronchial lesions in suspected patients as soon as possible. We thank all children and their parents who kindly agreed to participate in the studies and members of the Respiratory Department at Beijing Children’s Hospital (Beijing, China) for clinical work.